Designed specifically for the professional manga artist. Sets include an assortment of drawing pens, plus a mechanical pencil. 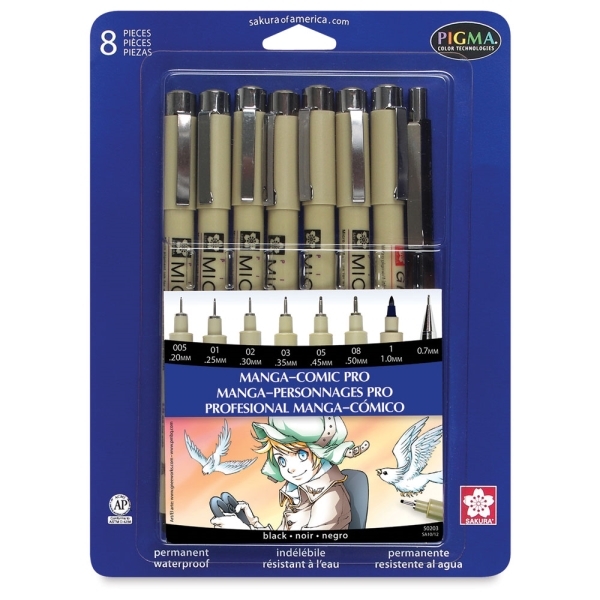 This set includes six Black Pigma Micron pens (005, 01, 02, 03, 05, and 08), a Pigma Graphic 1 pen, and a 0.7 mm mechanical pencil. ® Sakura is a registered trademark.® Pigma and Micron are registered trademarks.